New Home & Hurricane Code Inspection in Jacksonville FL | All Pro Home Inspectors Inc.
Should I have my newly constructed home inspected? 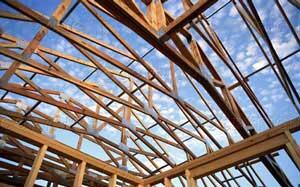 Contrary to popular belief, it is a prudent decision to have a newly constructed home inspected by an expert. Unfortunately, there are often a variety of issues with newly constructed homes, as it is a multifaceted job, with several companies working on the project at once, leading to communication breakdowns. Consequently, things can be missed, which is where the home inspector can be a valuable piece of the puzzle. He or she can be the objective set of eyes who can find problems that may have accidentally been overlooked. Constructing a new home is significant investment, and homeowners will want to learn about any potential issues there may be. The earlier they find out the better, as they can have the issue rectified before they move in, and begin their life in their new abode. An inspection on a newly constructed home will help reduce the risk of your investment, and provide you with the reassurance you need before moving in. All Pro Home Inspectors Inc. has a wealth of experience performing an assortment of inspections, from home and hurricane inspections, to mold and termite inspections. If you would like to arrange a new home inspection in Jacksonville, FL, please contact us today.